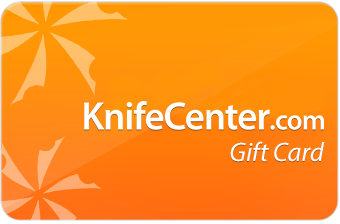 The KnifeCenter offers an incredible selection of knives for every taste and purpose. All of the knives need proper care if you want them to perform to their full potential. Do not use the cutting blade as a can opener, chisel, pry bar, screwdriver or for any heavy work for which your knife was not designed. Also, don't use the back of your knife as a hammer. It may break the springs, handles or pin. Every responsible and caring knife owner (that describes all of us!) needs to know the basics regarding the proper care of their edged tools. A well-maintained knife will serve as one's companion indefinitely. The term "knife care" encompasses more than just knowing how to put a razor sharp edge on your blades. In this article I will address certain pertinent factors involved with knife care. Combining these tips and recommendations with the existing information on sharpening will allow you to keep all your knives in top working condition. Perhaps the worst enemy of any knife is rust. Do not be fooled, even though the manufacturer or maker uses stainless steel. Given the correct conditions, even stainless steel can rust. If one lives and/or works in a marine environment, please pay close attention. Since the air in places like coastal regions has a higher than normal moisture content, with some salt mixed in, it is important to keep the surface of the blade lightly coated with a film of oil. The oil will prevent the salt-tinged moist air from coming into contact with the blade steel. Any household grade lubricating oil will suffice. A particular brand that I use is 3-In-One. It is available at your local hardware stores or home centers. 3-In-One is also good for lubricating folding knives, but before you do so I suggest you read my upcoming section on Folding Knife Lubrication. This particular oil does not have an odor, unlike WD-40. Do not get me wrong. WD-40 is great for this purpose, but I prefer not to use it because the odor may come off on your hand as you handle the knife. If the knife were to come in direct contact with salt water, wash it off as soon as possible with tap water and apply the coating of oil. A word of advise for owners of the wildly popular Benchmade CQC7 - the bead blasted models are susceptible to rust. The type of rust that affects this finish is what I term as surface rust. It does not eat into the steel of the blade at all. I have experienced this first hand, as my CQC7 970S was carried clipped to my waistband for several days during sweltering summer heat and humidity. The perspiration condensed on the blade and dried. What was left behind was light brown rust dots. Immediately upon noticing this, I got out my can of 3-In-One oil and applied a few drops to the affected area and rubbed lightly with a cloth. The rust was easily removed and has not come back since. Another good use for oil in maintaining your knives - as pivot lubrication. Again, 3-In-One oil is good to use for this purpose. A few drops into the pivot area would suffice. After a while of experimenting with different lubricants, I am happy to report that I have finally discovered the perfect folding knife lube. It is called "Dri-Lube" and is manufactured by one of America's premier gun brand, Remington. (KnifeCenter Note: we have several similar products from Sentry Solutions) This is an aerosol spray (contains no CFC's for worry free use!) that contains Teflon. I have been using this particular lube for a while, and it is great! This stuff is quite slippery too. Dri-Lube is best suited for folding knives for several reasons: 1) it dries on contact, leaving a thin film. No runs, no drips. Best of all, no mess, 2) thin film does not attract lint or dirt (Somehow, folding knives are lint magnets! ), and finally 3) it will not wash away, therefore minimizing the number of repeat applications. This is one of those "a little goes a long way" things - just a couple of spritzes it all it takes. About $6 US will get you a 4 ounce can of this lube and it will last indefinitely (that is, if you only use it for folders. I guarantee that you will be tempted to use this lube on other moving parts as well!). A straw is included for pinpoint applications, which is what lubricating folders is. One word of caution: be careful of overspray, especially on tactical folders with black blades - once the lube dries on the black finish, a light residue can be seen. Simply use soap and water to wash this away. Remington Dri-Lube can be purchased anywhere that firearms and firearm care supplies are sold. Having the desired lube to use is one thing, knowing where to apply it on the knife is another. It is best to use a spray lube, such as Dri-Lube, for locking liner knives. Using the included spray straw, aim directly at the pivot area to apply. Cycle (repeated opening and closing) the blade to work the lube in. If needed, spray a little more. For lockbacks and slip joints, the technique is a bit different. The area to aim for is the tang of the blade, where the backspring has constant contact with the tang during opening and closing. For best results, open the blade (or blades) perpendicular to the handle and apply the lube directly to the tang. Cycle the blade a few times to work the lube in. For consistent smooth operation, repeated applications at regular intervals will help your folding knife function properly. Knives are tools that are indispensable companions in our daily living and they also are investments. These reasons are why they should be cared for properly. Well-maintained knives will perform better, last longer, and provide the owner years and years of satisfaction. The above tips are based on my years of experience collecting and using knives - always consult the warranty documentation that comes with your knife on the manufacturer's recommendations for care. Keep your knife dry -the entire knife, not just the blade. Keep your knife sharp. A sharp blade is safer than a dull one. Do not attempt self-repair. This voids the warranty and may create an unsafe condition. Clean the entire knife regularly, including blade, pivot points and locking mechanism. If possible, clean it without immersing into liquid (spray cleaners work well). If you immerse in liquid (water, soapy water, or solvents), dry thoroughly after cleaning, then oil blade and moving parts. Regular cleaning and oiling should take care of sticky residue and light surface oxidation or beginning rust formation commonly found on knives. Discoloration of metal: Discolored metal has a blue/grey/black color, is a sign of oxidation, and precedes rust. On non-stainless steel: Discoloration is common and can provide a barrier against oxidation. Regular cleaning will keep discoloration from turning to rust. On stainless steel: Stainless steel does not discolor easily. Discoloration should be regarded as rust waiting to happen and should be cleaned immediately. Rust: Rust has a reddish-brown color. Rust will eat pits into your blade and contaminate what you cut. Light rust can be cleaned with oil. Heavier rust needs to be cleaned with more abrasive action, such as cleaner, polish, or plastic cleaning pad. Cleaning, polishing and lubricating help the performance, safety and longevity of your knife. Buck offers an assortment of knife care products. Store your knife in a dry place (out of the sheath). Lightly wipe the blade with clean oil 2-3 times a year to keep rust from starting (more often if near water). After using your knife, it is a good practice to clean and dry your knife (the entire knife, not just the blade). Even for blades that are made with corrosion-resistant stainless steel, prolonged exposure to the elements can cause the steel's surface to oxidize. Folding knives should be kept clean of debris, particularly the locking device on lock-blade knives. For your convenience, the Knife Center provides superb knife care products including Sentry Solutions products. Metal Glo Premium Polishing Paste is a formulation of aluminum oxide that is perfect for cleaning and polishing many metal surfaces. Avoid prolonged immersion in liquids (water, solvents, etc.). This can have a detrimental effect on not only the metal parts, but handles made of wood or other porous materials as well. Before using your knife on food items, wipe clean with alcohol, or wash with hot soapy water and rinse clean. Remember to re-clean and lubricate your knife after the food job is done. Periodically, and always after cleaning, apply a small amount of lubricant to the working parts of the knife, particularly the pivot points of a folding knife. Then apply a thin film of lubricant to the entire surface of the blade. This will help prevent surface oxidation and corrosion from moisture. Self-repair of most pocket knives will void your warranty. 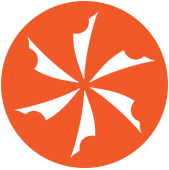 If your knife needs repair, please find the manufacturer from the list on our Knife Company Directory to contact them. If the necessary repairs are covered under warranty, the work will be done at no charge. If the repairs are not covered under warranty, the company will advise you of the cost and ask for your approval before doing any work.